The 1931 Chrysler Imperial Custom Eight's sophistication and elegance started with a gracefully canted radiator shell. The 1930s opened with businesses collapsing like a house of cards. Millions of Canadians had no work at all. anywhere in the Dominion. The official unemployment hit 28 percent in British Columbia in 1931. Forced off their farms, nineteen desperate Manitoba families took shelter in the provincial legislature, hoping to draw MLA’s attention to their plight. Ottawa reluctantly opened relief centres across the country for the homeless and the Red Cross distributed tons of emergency food and fuel to 150,000 starving folks in Saskatchewan. Homeless, jobless city dwellers survived by eating garbage they found in dumpsites. The fishing industry came to a standstill in the Maritimes because there was no longer a market for the catch. The chartered banks foreclosed on businesses, farms and homes in record numbers. The automakers were not exempt from the crisis. Unfortunately, their plans were locked up a good eighteen months in advance and little could be done but to move forward with the products on hand. The 1931 crop had been conceived in 1929 when times were good. Automobiles of any kind were not on the minds of people who could only think of where the next meal would come from and where they might sleep that night. The 1931 Chrysler Imperial Eight Custom Roadster was designed by LeBaron. It weighed in at a hefty 4,535 pounds. Like all other Imperials, it rode on a 145-inch wheelbase. Against this bleak backdrop, Chrysler Canada launched one of the most majestic automobiles to ever grace the King’s Highways. 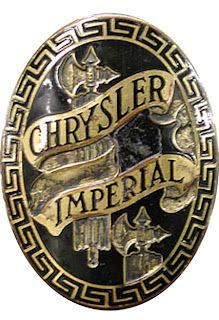 The Chrysler Imperial was no mere flagship for ChryCo; it became an instant icon of style, power, luxury and success in dark times. It was a symbol of prosperity that most could only dream of. Because officials at Chrysler believed that eight-cylinder engines would dominate the luxury field, a six was turned into an eight when engineers grafted a cylinder onto each end of the mill. They created a nine-main bearing crankshaft for the new power plant. Now, Imperial tore down the road powered by a 385-cubic inch monster that generated a most impressive 125 horsepower. A four-speed manual transmission delivered all that power to the wheels. 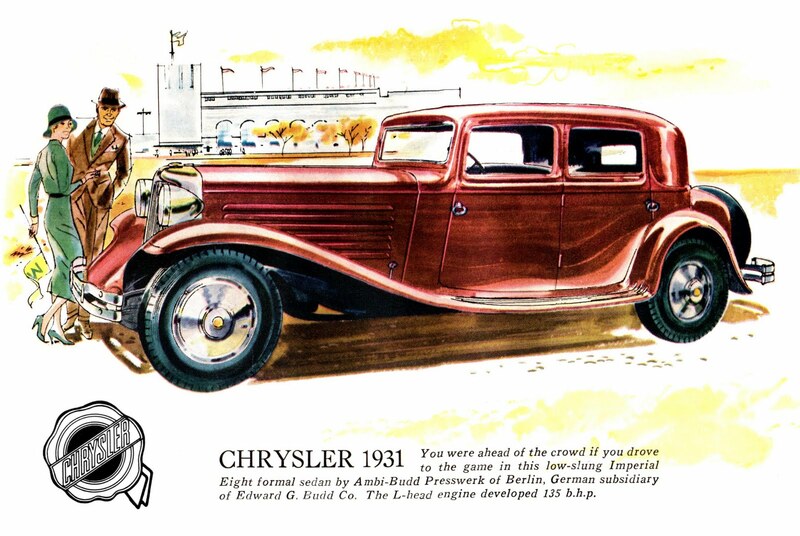 Chrysler’s reputation was firmly built on the application of advanced technologies to its automobiles. Freewheeling was a new mechanical feature this year at the House of Chrysler. Designed to save gasoline, the engine was permitted to coast when power was not required. The extra-cost device came with a manual override switch in case of emergencies. The 1931 Chrysler Imperial Eight Sedan Limousine weighed in at 4,915 pounds. It could be configured for seven or eight passengers. For the Chrysler Imperial Eight, the company philosophy was simple. “It requires considerably more than average car length to permit full expression of the dignity, the grace, the luxury and the comfort that are so characteristic of fine motor cars. “Mile-long” hood made Imperial look like a million bucks. With this mission statement to guide them, the Imperial package, on its 145-inch wheelbase, was most stately and dignified in its proportions. Styling played a large role in the development of the Imperial Eight because company brass understood that looks that sold cars. It was the first time that Chrysler’s designers were consulted during the gestation period, not after. Herb Weissenger, an employee in the Art & Colour team was fascinated with the current offerings from Cord. 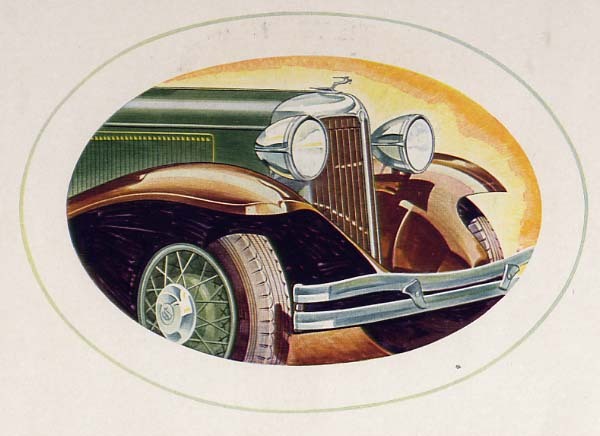 Using that design as his benchmark, Imperial’s radiator shell was given an artistically canted, V-shape and the centre of gravity on the chassis was lowered significantly. Advertising noted that the Imperial Eight was “scarcely as high as a man of average height.” Fenders grew more massive and flowed gracefully in a relaxed curve. Care was taken that the spare tires be sunk into the fenders “so that the top of the tire is even with the belt moulding,” thus not breaking the visual grace of the lines. The 1931 Chrysler Imperial Eight Custom Roadster emulated aircraft with its cockpit-like interior. The upholstered trim extends beyond the interior. The rumble seat was good for occasional passengers. Grace and class were applied liberally within the cabin, too. “The spaciousness and luxury of Imperial Eight body interiors are possible only on a chassis of such unusual length. With a wheelbase of 145 inches, skillful body designers were unhampered in the working out of details and appointments that contribute to motor car convenience and comfort.” Smoking sets, cigar lighters, an electric clock, assist rails, foot rests, arm rests with built-in pockets, a robe rail, dome and corner lights were all included in an Imperial Eight. Taking a cue from aviation, the latest rage, the instrument panel of the LeBaron Phaeton and Roadster were designed to resemble an airplane’s cockpit, right down to the trim being extended over the edge of the belt rail. 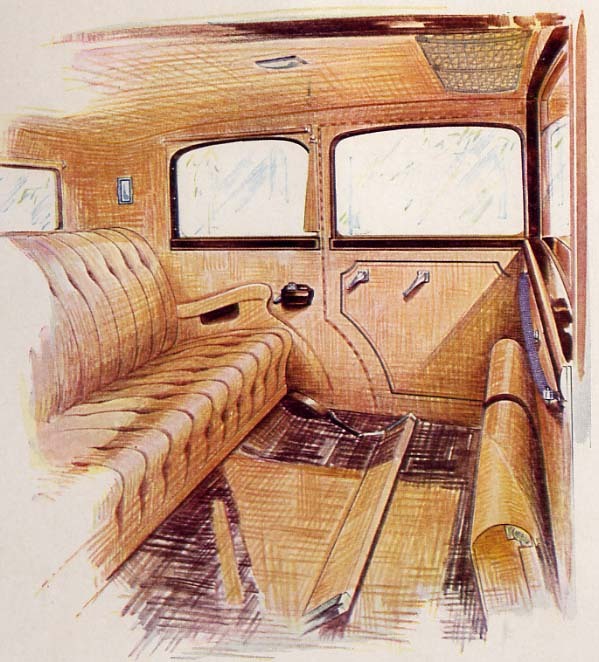 Upholstery was Bedford Cord or carefully selected Broadcloths in closed models; hand-buffed leather was used in open cars. The interior of the 1931 Chrysler Imperial Eight Sedan Limousine boasted the finest front parlour appointments on rolling stock. Looks alone would not be enough to satisfy discriminating customers. These mighty machines had to be superior on the roads in order to qualify for flagship status. Two Imperials were promptly shipped to Daytona Beach where race drivers set a dozen new speed records in time trials supervised by the AAA. The massive cars weighed in excess of 4,500 pounds and still hit 90.4 miles per hour (ancient Canadian units of measure) in the “flying mile” test. Hydraulic brakes brought them to a quick, safe stop. The company offered a four-door, five-passenger sedan; a four-door close-coupled, five-passenger sedan; a four-door seven-passenger sedan and a four-door limousine sedan seating seven or eight. Briggs built the bodies for these models. In addition to the standard models, LeBaron offered a two-door, two- or four-passenger roadster; a four-door five-passenger phaeton; a two-door two- or four-passenger coupe and a two-door two- or four-door convertible couple. 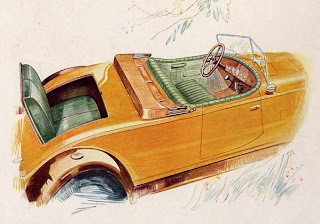 Clients wishing something more personal and upscale could take delivery of the chassis and then order semi-custom or full custom coachwork confections from such prestigious houses as Derham, LeBaron, Locke, Murphy and Waterhouse. Records show that 99 customers did so. A total of 3,228 Chrysler Imperial Eights were built for the world market. Records show that 24 of these luxurious land yachts were built by Chrysler Canada workers in Windsor, Ontario. As they say 'old is gold' and that is somehow true!I love antique cars,i have always wanted to have a collection of old cars.